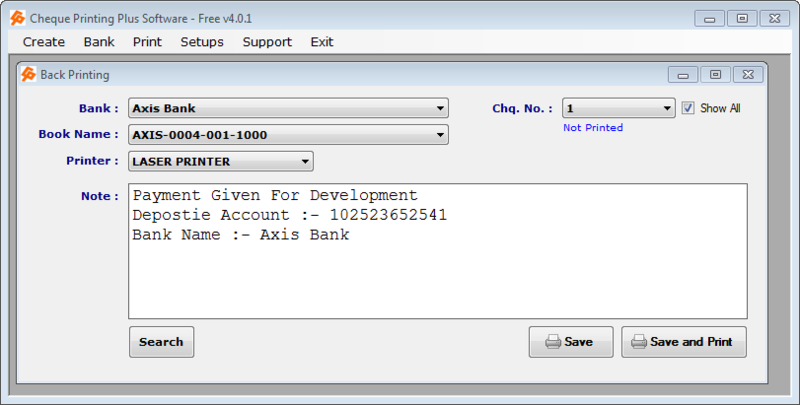 This Option is use for enter your cheque book details and give a name to your cheque book for record keeping. 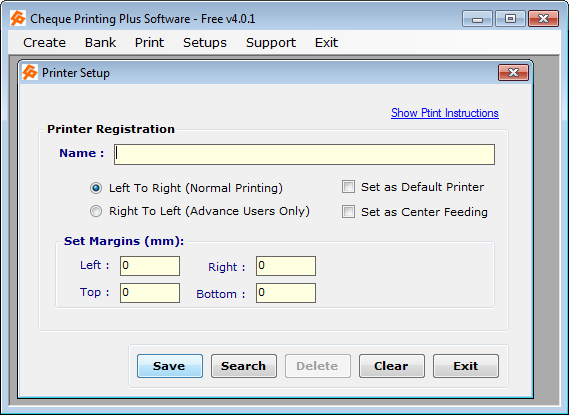 Before use this menu you must add previously company,bank name, Bank account, Create or check available layout as per your cheque book. 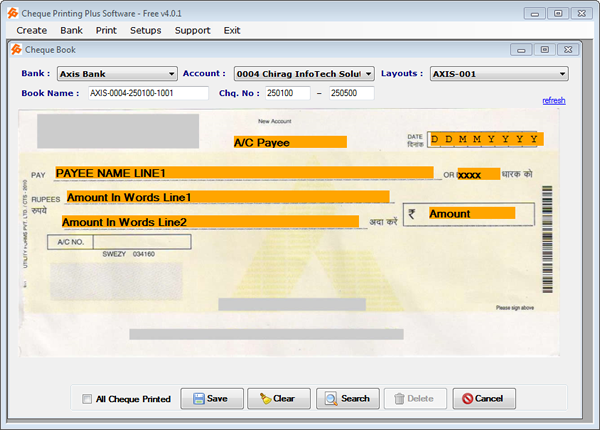 To add cheque book go to “Bank” Menu >> “Cheque Book” sub menu. Then Enter your cheque book’s Cheque Series given by bank cheque book. Here Auto generate name should be like “Bank Short Name” +”Your account last 4 digit” + “Cheque Series’ starting number +”Incremental Number”. Here your can write or change details like text line 1,2,3 . 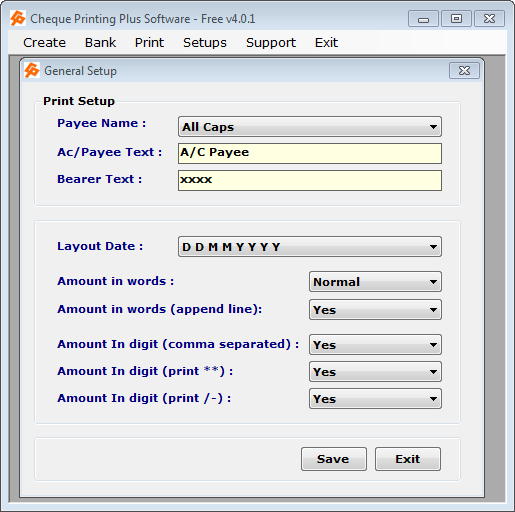 A/c Payee name style and Bearer text style. If you want to edit or delete cheque book just click on “Search” and then search your cheque book, select cheque book and then edit or delete.